Ultra soft and super warm. 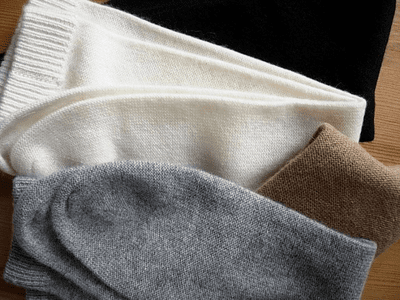 Feeling Pampered's pure cashmere line delivers warmth without bulk....a true luxury item. Our cashmeres are from Tibet and Mongolia. As a direct importer, we were able to offer price at half of retail. This is why our customers has been buying them in bulk as gifts! All US purchase gets free ground ship!